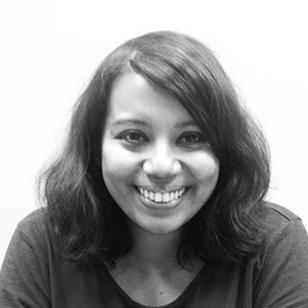 Pallavi Chakravarti is the Executive Creative Director of Taproot Dentsu, Mumbai. For nearly 15 years now, she has worked on some of India’s biggest brands at agencies like Saatchi & Saatchi, JWT and Grey. Over time, her client list has included global players such as P&G, Unilever, General Mills, Uber, Pepsi and Airtel as well as local giants like The Times of India, Marico, Aditya Birla Financial Services Group and Parle Products. Having featured in lists like Brand Equity’s Top Young Creatives Under 30 and won titles like The Ad Club’s Young Copywriter of The Year fairly early on in her career, Pallavi’s work has gained recognition on platforms national and international. From creative shows like Cannes Lions, The One Show, Adfest Asia Pacific, Spikes Asia and India’s biggest local awards, Goafest, to effectiveness awards like Effies and Appies, she has bagged metal everywhere. She was also awarded for Best Ad Screenplay at the prestigious 2015 Dadasaheb Phalke Film Festival. Psychology, theatre and music make her tick, both on the job and off it.